The client is a London-based developer of mobile applications for both iOS and Android. They have produced several high-grossing apps that topped the sales charts in Apple's App Store. The client approached PitchPro when they required a professional, polished presentation for an investor pitch. After a day of consultation with the client we developed a solid structure for their presentation ideas, which would form the foundation for this project. 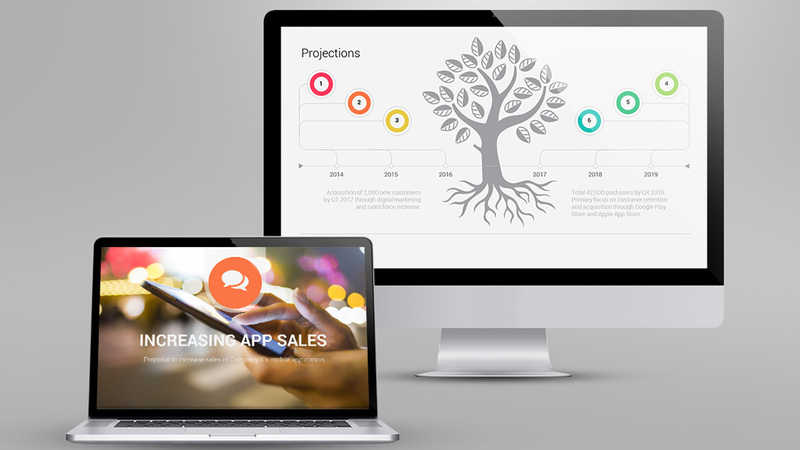 From here, our design team created a presentation deck consisting of several infographics and diagrams to help the client visualise financial information and projections to their audience. 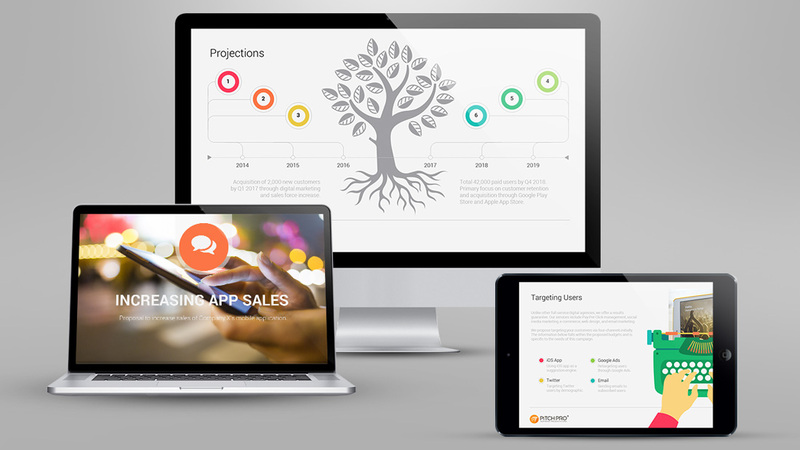 The presentation deck also included high-definition videos of the client’s mobile application.